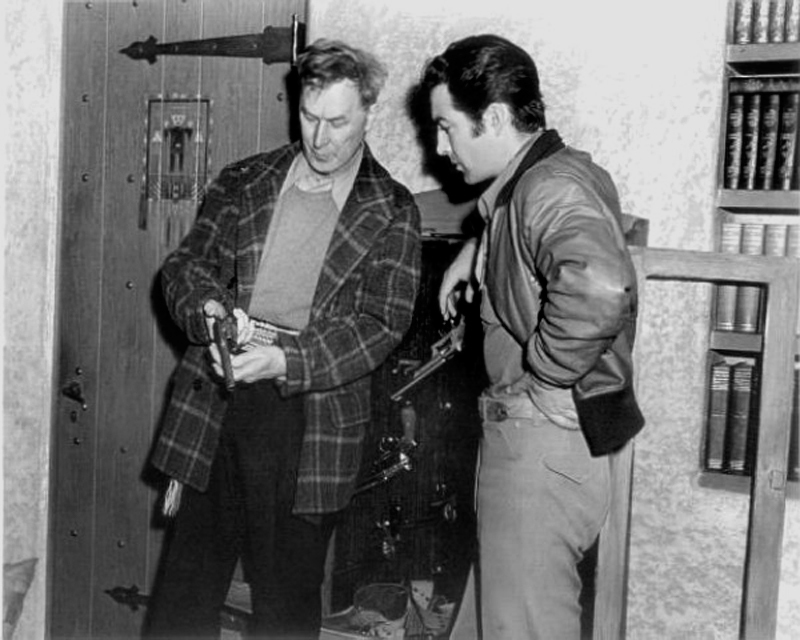 Silent screen star William S. Hart shows a gun that Hart thought belonged to Billy The Kid (see below) to actor Robert Taylor, leading man in MGM's 1941 picture, "Billy The Kid." 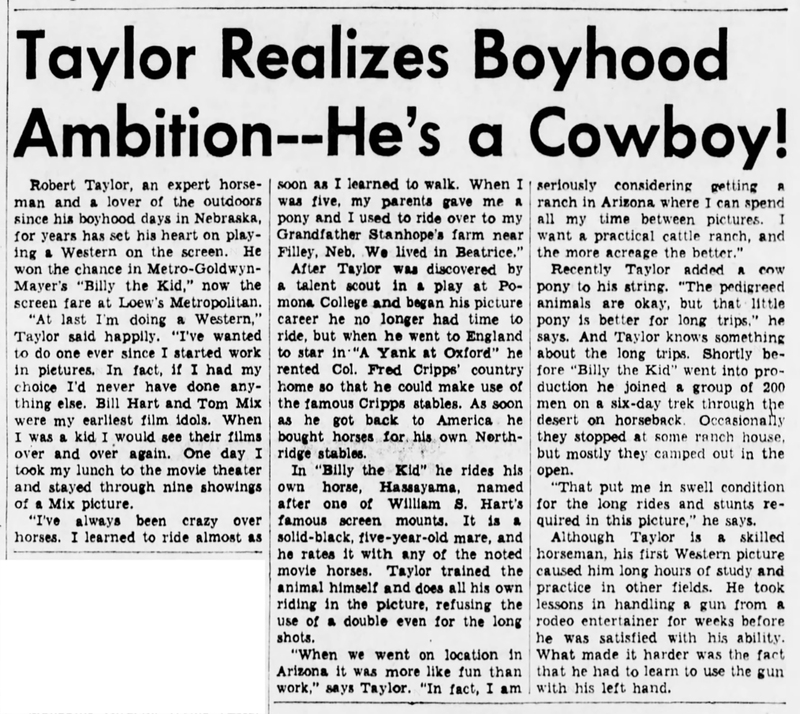 The U.S. theatrical release of the film occured in 1941 and was noteworthy as one of the first Technicolor westerns. 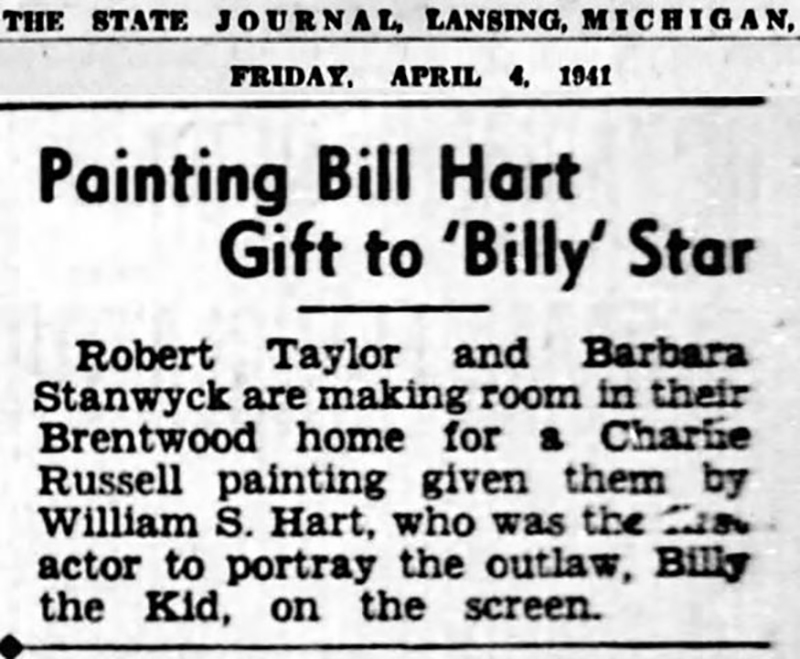 Back in 1930, Mr. Hart served as an adviser on an earlier MGM picture released in 1930, also entitled "Billy the Kid." 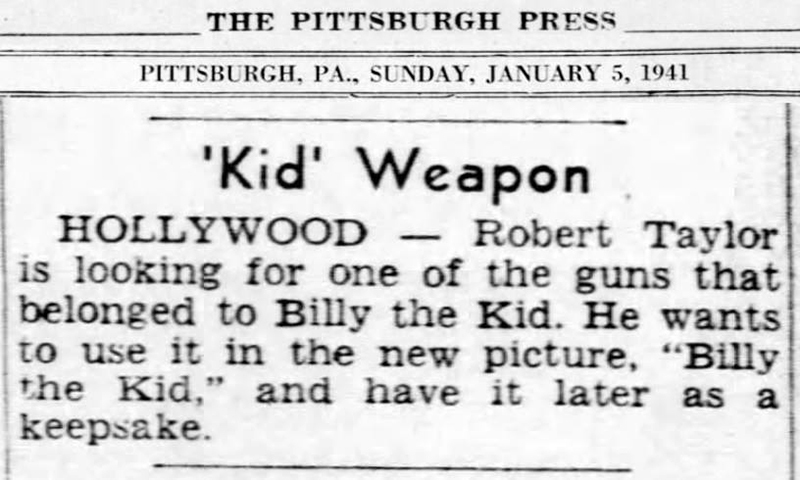 This film starred Wallace Beery as Sheriff Pat Garrett and Johnny Mack Brown as the Kid. 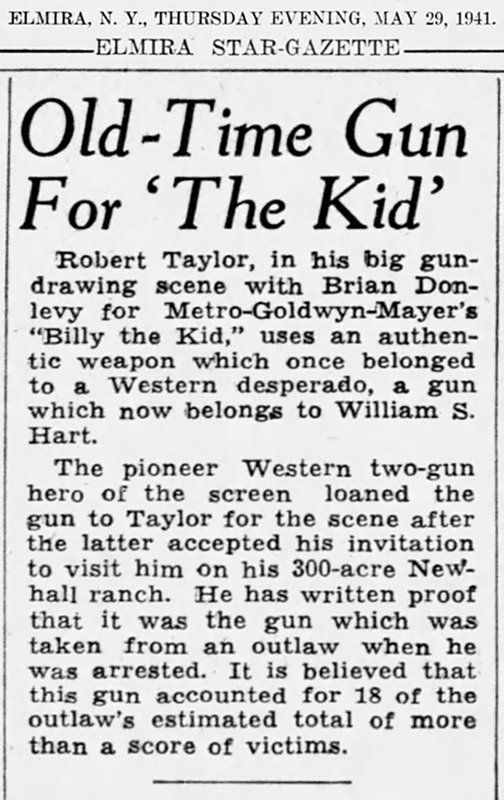 MGM photographed Hart showing Brown the Kid's pistol in 1930 — as they did in 1941 with Robert Taylor. 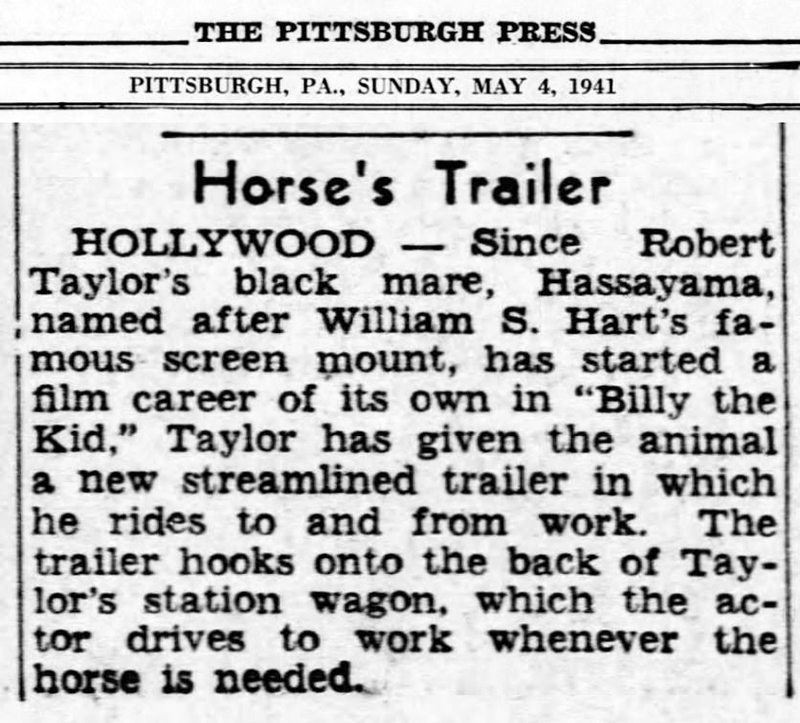 It's interesting that the studio used the same publicity trick for two separate pictures over a 10-year period. 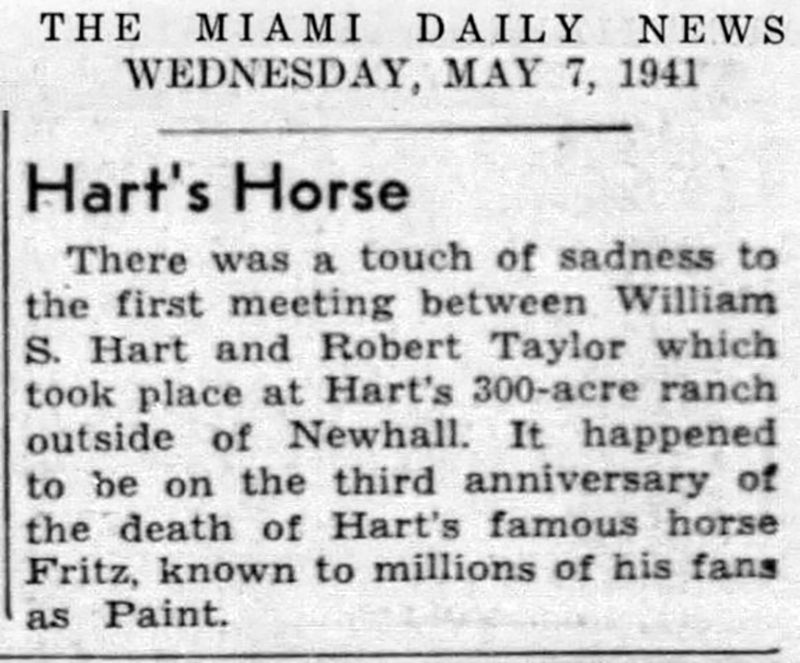 * per Hart Museum/police report (corrected 2019).